Pokkén Tournament will launch on Nintendo Switch. Nintendo revealed that the Wii U fighting game will be its next title to get the Switch re-release treatment, following April’s Mario Kart 8 Deluxe. The game is called Pokkén Tournament Deluxe and will launch on Sept. 22. Nintendo showed off the title with a brief teaser that shows how it’s updated for the Switch. The biggest change is that players can use one Joy-Con controller each to compete on a single Nintendo Switch console. There will also be new modes to choose from. After doing a stint in the arcades, Pokkén Tournament hit console last March. Unlike other Pokémon games, this one has players commanding the monsters themselves. 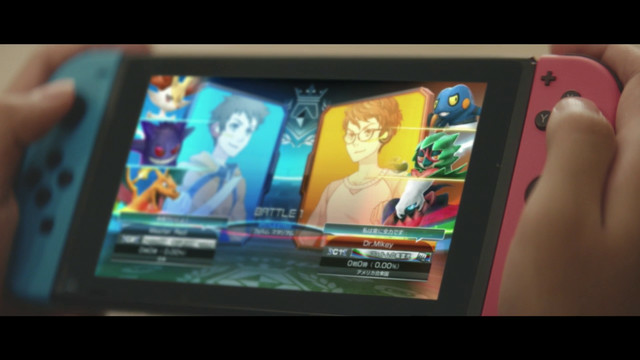 The game pits Pokémon against each other in various arenas for one-on-one bouts. Characters include Pikachu, Charizard and the exclusive Pokémon Dark Mewtwo. There will also be new fighters exclusive to the Nintendo Switch version of the game, like Scizor, Croagunk, Darkrai and the ghost-type owl Pokémon Decidueye.